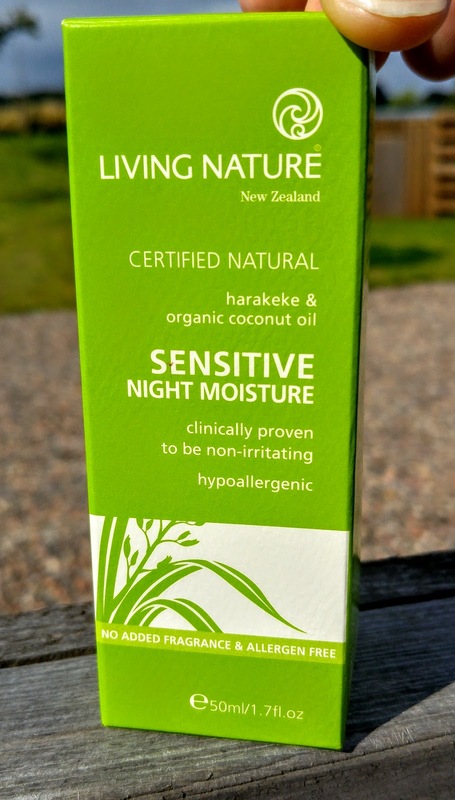 The New Zealand brand, Living Nature, has come up trumps with the latest addition to their awesome natural products. The Living Nature Sensitive Skin Range is pH balanced, allergen free and utterly fragrance free. This is sensitive skin heaven in a tube. 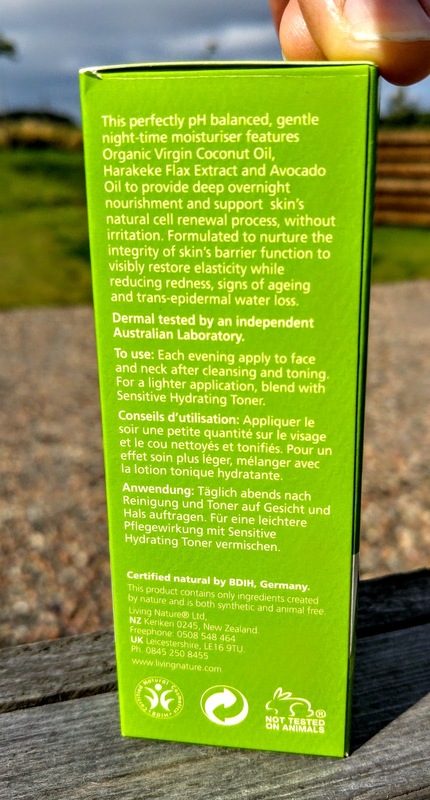 I have tried out the Sensitive Night Moisture cream and was really impressed. It is certified natural, hypoallergenic and also was given a stonking 0 in the EWG tests…. you can’t get any better than that. This avocado oil, coconut oil and harakeke rich product is very easy to use and even more easy to like. It is unisex and I let my big brother test it out from a guys point of view. It is not that I find him getting more critical with age or anything, but I knew he would not mince his words when testing. Thankfully, he approved and added in that he needed something like this.